Summer is coming and the long awaited vacations that will help to get out of the routine will start soon. At this time there are many people who take advantage to travel abroad or to destinations where there is no possibility of taking your own car. In these cases there is the possibility of renting a car to move temporarily in that location. That is why we give you six tips to take into account if you want to make the right choice to get rental car. 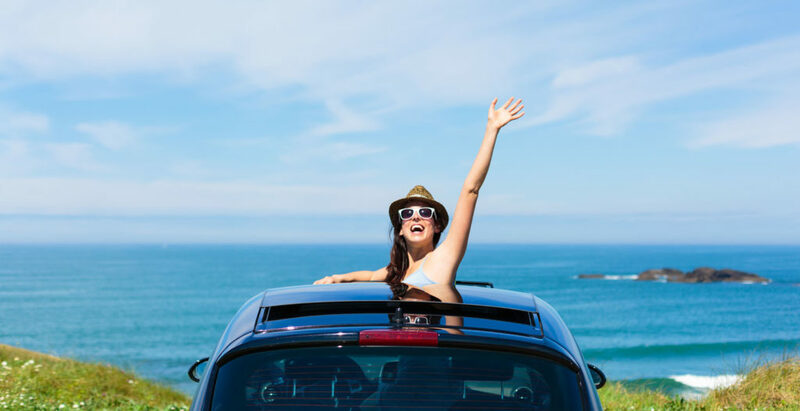 This advice is especially useful if your trip is to an island, because the fleets of the car rental companies are not enough for all the tourists who arrive in high season. In addition, the cars that are sold out first are the cheapest and you may find that you have to choose a much more expensive top model or a van. Rental companies always charge a minimum to prepare the car, assist you and other arrangements. So if you rent a car one day, two or three, usually charge more or less the same. Check it before then maybe you can enjoy the vehicle more for practically the same reason. Cancel reservations with less than 24 hours in advance … for free! Sometimes the reservation policies indicate that you can cancel up to 24 hours in advance without cancellation charge. For cancellations after 24 hours, the total rental amount will be charged. And for prepaid reservations, there are no refunds if the reservation is canceled. But sometimes it has a solution if you have booked online: almost all these companies have access to customers on their website: so you only have to enter and modify the reservation. You modify it for a couple of days later, beyond the 24-hour limit. Then you can cancel it, and for free. Where to find the cheapest price? There is no fixed rule. Sometimes you call by phone to book with the company and they give you the best price. Sometimes in a website that you find out there they end up giving you a better price than the rental company itself. Other times in the airport office after queuing. The best thing is that you compare prices before. The normal thing is to rent a car with a full tank of gasoline, and return it full of gasoline too. But there are companies that give it full when you pick it up. The amazing thing is that after they force you to return the car with the empty fuel tank. Logically, they have charged the entire deposit … but if you have gas, do not return the money (it would be difficult to calculate it and also earn those liters that are left). Prepare all the documents that will be required beforehand. And be prepared also to queue … especially if you match a tourist flight. Also, although you make your reservation in advance, sometimes you have another 20 minutes filling in the same data. A trick that makes things easier: try to get the driver’s license to match the name of the person you booked. Previous What is the right battery for my car?